Mark Prak's principal clients are businesses and trade associations of businesses operating websites, television stations, radio stations, cable television systems, newspapers, magazines, radio networks, television production companies, telephone companies, wire services, and other communications enterprises. He has represented communications businesses and state and national trade associations in administrative rule making proceedings before the Federal Communications Commission and other government agencies on issues such as retransmission consent, network affiliation agreements, political broadcasting rules, satellite carriage of television signals, digital television, digital radio, low-power FM radio, syndicated program exclusivity, cable television's compulsory copyright license, the siting of broadcast towers, equal employment opportunity, and, in recent years, everything relating to broadband and high-speed internet issues. He has counseled clients regarding mergers, acquisitions and dispositions, including negotiating all aspects of asset sales, stock sales, and merger agreements, securing requisite state and federal regulatory approvals, negotiating and drafting bank financing and security documents, analyzing antitrust and competition issues, and closing the transactions. Mark counsels a broad base of clients, from small, closely held concerns to publicly traded companies, on day-to-day operational issues. For some clients, he and the firm serve as specialized regulatory counsel. For others, he serves a general counsel function. He has served as lead counsel in litigation of numerous cases in state and federal courts and before administrative agencies. The subject matter of his litigation experience has ranged from copyright, trademark, and service mark issues to breach of contract, unfair competition, unfair trade practices, non-competition and trade secret agreements, libel, invasion of privacy, wiretapping, labor and employment questions (Title VII, wage and hour, etc. ), open meetings, public records and freedom of information questions, as well as corporate and insurance law issues. He has also represented corporations and educational institutions before the FCC and North Carolina Utilities Commission in administrative litigation. Mark has testified before Congressional and state legislative committees and has assisted clients in lobbying and testifying before Congress, the North Carolina General Assembly, and the FCC in efforts to influence debate on broad issues of public policy and on specific problems of concern to only a single client. 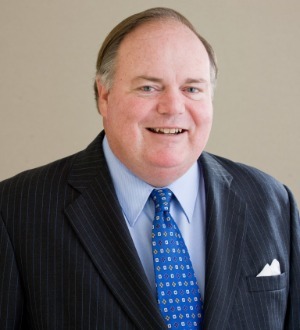 He has been a frequent speaker on regulatory issues affecting the communications industry before national and state bar association groups (PLI, ABA, NCBA) and at meetings of state and national trade associations. He has testified in state and federal courts as an expert witness on FCC practice and procedure, as well as legal ethics. For 19 years, he served as Visiting Lecturer teaching a course in Telecommunications Law and Public Policy at Duke University's Sanford Institute for Public Policy Sciences and at Duke Law School.